The following Standing Committees were established at Council's post election meeting on 8 April, 2016. The Standing Committees enable complex or strategic issues to be discussed at length without the time constraints normally imposed at an Ordinary Meeting of Council. They allow our Councillors to specialise in particular functions of Council and can utilise the particular knowledge and skills they may bring to Council. Committees conduct much of the investigative and detailed work leading towards a recommendation to Council to enable an informed decision to be made. 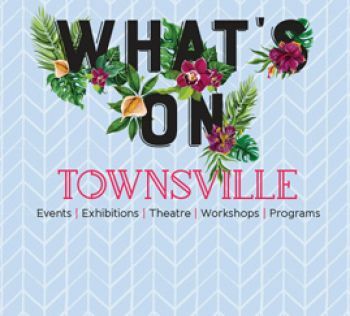 All meetings will be held in the Council Chambers, 103 Walker St, Townsville and are open to the public. Please note that the public will be excluded from meetings during deliberation of confidential items in the "Closed" section of the Agenda. This describes the purpose and structure of the committee. It defines the scope of the committee detailing the committee's authority, composition and objectives, providing the framework to the committee's operations. The terms of reference also identifies the duties and responsibilities of members and the chair, the term of membership, requirements for a quorum, reporting requirements of the committee and matters concerning conflicts of interest. The Community and Cultural Development Committee meeting will be held on a Wednesday at 11am in the second week preceding the Monthly Ordinary Meeting. The Community Health and Environment Committee (previously Health and Safe City Committee) will be held on a Wednesday at 9am in the second week preceding the Monthly Ordinary Meeting. The Governance and Finance Committee will be held Thursday at 9am in the second week preceding the Monthly Ordinary Meeting. The Infrastructure Services Committee meetings will be held Tuesday at 9am in the second week preceding the Monthly Ordinary Meeting. The Planning and Development Committee will be held on a Tuesday at 11am in the second week preceding the Monthly Ordinary Meeting. The Townsville Water and Waste Committee will be held Thursday at 11am in the second week preceding the Monthly Ordinary Meeting.